Master the art of “tapeo,” that involves walking, talking, drinking, and eating for a few hours. Taste the cuisine from some of the most talented chefs in town. Savor Cuban, Italian, Peruvian, Miamian, Floribbean and many other types of cuisines. Learn about The Miami Design District pioneer as we unfold the fascinating stories about the neighborhood’s past, present and what’s coming next. Visit the Fly’s Eye Dome by Buckminster Fuller, be impressed by the “Jungle,” and discover a formidable sculpture of the man who defined modern architecture. Connect with Sou Fujimoto’s most acclaimed masterpiece inspired by organic eco-systems. Explore magnificent public art installations while stopping for delicious cuisine along the way. 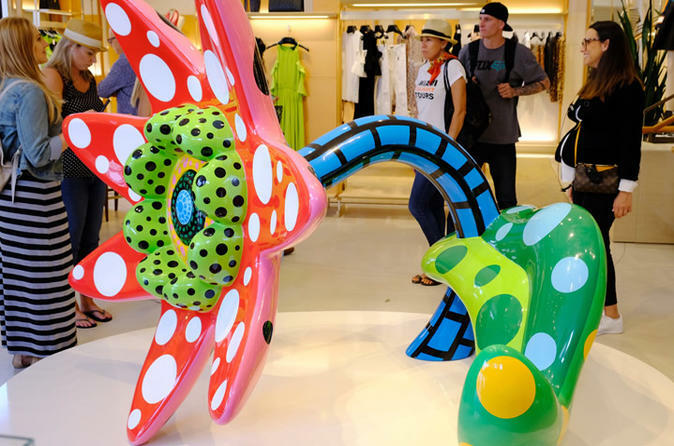 The once-overlooked area of the Design District is now a vibrant destination with magnificent modern architecture and breathtaking art installations on public areas. Savor your way through the neighborhoods while we tour tapas-style. A contemporary, multi-chef driven food hall. This stylish destination is where you’ll find some of the most amazing talent in the Miami food industry, chefs will delight our palette each one with their best creations. Star-powered dinning destination for upscale Cuban cuisine in Havana-style surroundings. Veterans of some of the best kitchens in town, fall into the warm embrace of our favorite dish with the perfect pairing wine. Soraya Kilgore has finally launched her pink-hued palace in the Design District. She builds relationships with local farmers to protect and develop the skills to produce the finest products. Located inside the Jade Alley, this place is the best kept secret in Miami. Combining their 16 years of restaurant experience, most at Michelin starred restaurants in NYC, top chefs Luciana Giangrandi and Alex Meyer bring tacos to a whole new level. KEY LIME PIE MARTINI ANYONE? They are committed to expanding the enjoyment of wine and spirits beyond their liquid state. Their line is the result of years of exploration, refining and commitment to a novelty that has no match.